EpiCamera is a Cloud Surveillance Solution system that uses IP or web-based cameras to capture images from your monitored site and combine it with hosting services from EpiCamera, to allow users to access and view the captured images anywhere, anytime via simple web access throughout the website. Installing surveillance cameras are taking it to the right step but pairing them with Epicamera makes it an ideal office solution for your security needs. With EpiCamera you can store the recorded footages on cloud for easy monitoring of your office or business from anywhere via web access. EpiCamera makes business monitoring effortless! EpiCamera keeps you posted with the latest updates and happenings from your home. By setting your camera and hosting the captured frames in EpiCamera, you can now keep an eye of your loved ones in the house such as parents, children, pets and even when the house is empty! There are tremendous needs out there for video surveillance real-time recorded frames and cloud-hosting. EpiCamera welcomes anyone who wants to build or expand their business in CCTV or home security to join this prospective venture with us. Incorporated with Amazon Web Services, EpiCamera strives to provide our users with the best hosting solution to manage your network cameras and to store videos of events. What is Cloud Surveillance Solution? Cloud Surveillance Solution is also known as Cloud-based Video Surveillance As a Service (VSaaS), useful for home, business and infrastructure. 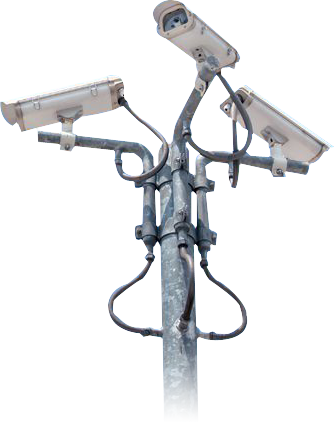 With Cloud Surveillance, you need to connect cameras to your existing Internet connection and live video feeds are streamed to Cloud Surveillance servers where the video footage/images are secured. Cloud Surveillance solution is loaded with unlimited resources making it highly scalable for any sized application, without geographical limitation. Users get to instantly monitor their cameras and review their video footages 24/7/365 from the Cloud Surveillance Solution. Users also get to manage any number of locations from anywhere, at anytime, all accessible from a single login. No purchase, installation or maintenance of DVR equipment is required when using this solution. Plus, no software installation required and it works on nearly every computer, tablet and smart phone. What are some of the real world examples which EpiCamera can be applied to? Can I view EpiCamera Cloud Surveillance Solution? I need to set up a Cloud Surveillance Solution at my home. How can EpiCamera help me? The setup of EpiCamera Cloud Surveillance Solution is designed easy to cater to a wide variety of users. EpiCamera makes it easy for you to create a cloud surveillance solution, to get your new cameras up and running in our server and to make it run in just a few minutes. EpiCamera is a program made easy, what you need is a minimal amount of instructions to monitor your premises from the Internet from everywhere through EpiCamera website or mobile apps. (Download mobile apps here) EpiCamera is equipped with many great features to enhance your video monitoring experience. If you have an EpiCamera account, click here to start connecting your cameras to the cloud. I am a CCTV installer and need to set up a Cloud Surveillance Solution for my client. How can EpiCamera help me? As a CCTV installer, you are eligible to sign up as an EpiCamera reseller. And being an EpiCamera reseller, you can easily create a multiple-admin-login cloud surveillance solution for your client, getting their new cameras up and running in our server in just under a few minutes. EpiCamera is an easy-to-use program and as a CCTV installer you can quickly setup accounts for your clients and with a minimal amount of instruction, you can empower your clients to monitor their own premises themselves. Explore EpiCamera Reseller Opportunity today.